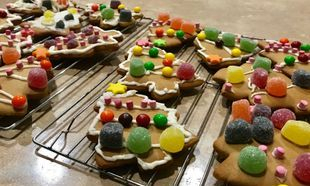 Christmas is a wonderful time of year, but unfortunately a lot of Christmas celebrations are food based, which can be stressful for families living with an EGID. The following should give you some ideas on how to manage these events, or give you options to avoid them completely. For those with children, talk to their teacher early on about whether the end of year parties and such which may include food. If they will, offer to work with them to make sure that your child is included such as bringing in your own food to share with the class or making all food allergy friendly. Make sure you do this early so that if needed written plans can be put into place. 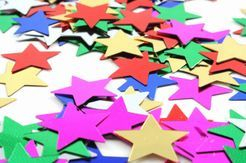 You can also make suggestions early in the year about other activities the class could do, such as craft based activities or things that could help the community such as fundraising or creating items for community centres, aged care homes or shelters. Around this time of year, children tend to be given food to give out to their classmates which may not be suitable for your child. You can either try to make other parents aware of your child's allergies or as an alternative, offer your child something to exchange the food with, such as money or prizes, so that they can still receive the food and be rewarded at the same time. Always tell your child not to eat something given to them if you or an adult you have given permission to has not checked the ingredients to see if it is safe for them. Attending other parties such as those hosted by other family members can be managed as well. You may offer to help the host create a completely safe menu by adjusting some of the ingredients. If you don't want to ask the host to amend the dishes they will be serving, instead suggest maybe a few safe foods to be served or offer to bring your own that can be offered to everyone. Make sure you put in precautions to stop contamination of safe foods and others being served. You can also host your own party, which will allow you to have complete control over what is being served or you make it more of an activity based gathering rather than a food based one. You also have the option of giving out a list of food that people can bring to your party if you wish to make it an allergy friendly event. 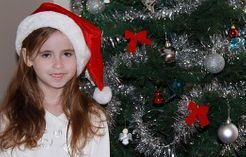 Children with allergies don't have to miss out on counting down the days until Christmas. 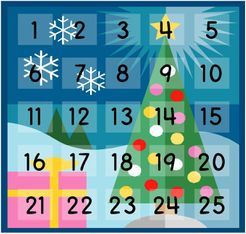 There are many options for either advent calendars which don't contain food or empty calendars that you can fill with your own options. There are links below to just some of the options available. Another option is to make your own advent calendars. The links below provide some great craft ideas and different ways to fill them. What is better than making cookies for Santa on Christmas Eve? Making cookies that are allergy friendly makes it inclusive for everyone. Don't forget the carrots for the reindeers either! In a bowl of electric mixer, using paddle attachment, cream together Nuttelex and sugar until light and fluffy. Add in ‘no egg’ and vanilla essence, mix well. Add combined flour and baking powder slowly, blend until all the flour is mixed in and the dough leaves the sides of the bowl. Remove dough from bowl, wrap in cling wrap and refrigerate for approx. 1 hour. Roll out dough to ½ cm thick and cut out shapes. Place cookies on greased baking trays and bake at 170oC for 10-15 minutes. To make a stamped cookie, cut it out with the round cutter first. For icing roll out fondant on a silicon baking sheet on cleaned bench, lightly dusted with icing sugar. 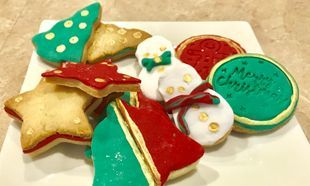 Cut out shape to match cookies. Brush one side of fondant shape lightly with water to stick to baked cookie. To finish off, brush with edible gold paint. Add golden syrup, flour, ginger and bi-carb soda, beat until mixture forms a dough. Place gingerbread on greased baking trays and bake at 170oC for approx. 10 minutes. Icing: Mix 1 cup Icing sugar, approx. 1 tablespoon Nuttelex, 1 tspn vanilla essence and enough hot water to make a good consistency for piping. Place in piping bag or ziplock bag with corner snipped off. 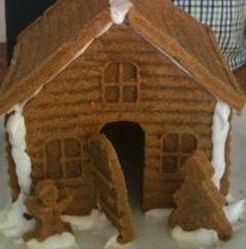 Decorate with your safe lollies. Thank you to our member Kathleen for these recipes. 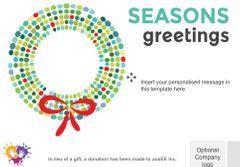 Did you know that you can send virtual cards when donating to our cause? If you are looking to give a charitable donation in lieu of Christmas cards to your family and friends you can do so through our MyCause Page. There are many templates to choose from for all special occasions not just Christmas! All donations made through our virtual cards will go to our Medical Research Fund. Remember ausEE is 100% volunteer run and every dollar counts.